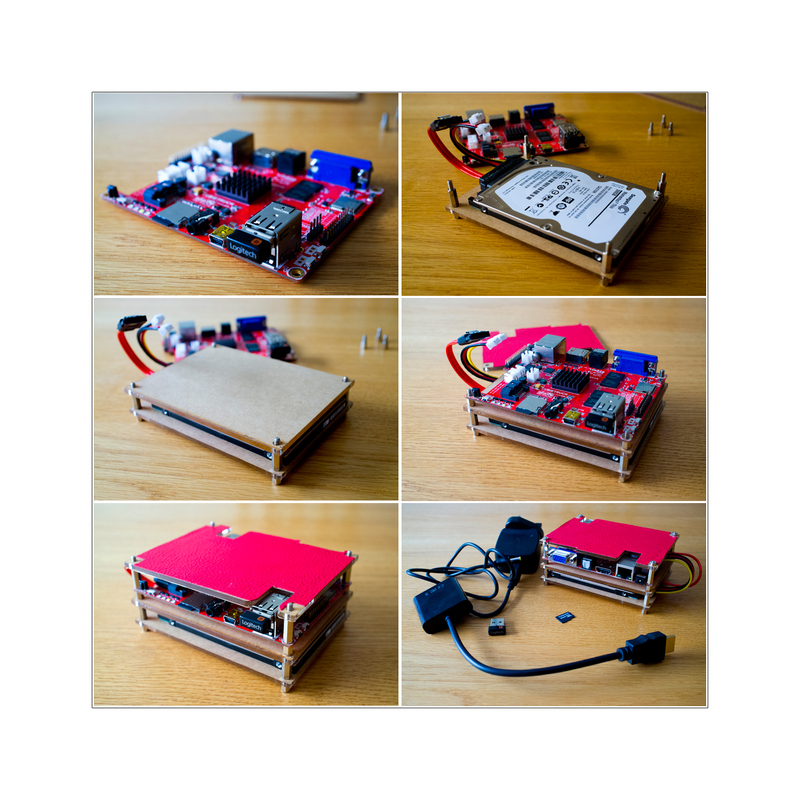 During this week my main aims in building some computer related projects and developing any related skills are to finish the construction of two developments board systems (The Cubie-truck and Raspberry pi ), including the selection and install of the best operating systems for the projects I have in mind. You can see from the images above that I have finished the construction of the Cubie-truck. Having taken delivery of the main system last week I was waiting for the arrival of a 500gb hard drive and a hdmi to vga screen adapter. I needed the adapter as I am making use of an old none hdmi screen that I was no longer using on my main pc. What is a development board ? 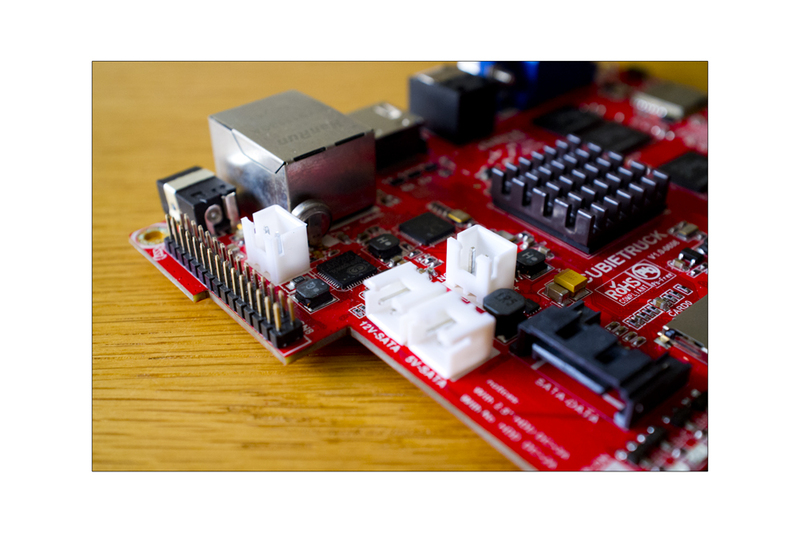 Most likely many people will wonder what a development board computer is and what the difference is between one and a normal laptop or PC. The image above shows one of these main differences in the set of input and output pins that you can see on the left of the system board. These pins can be used to control many kinds of devices such as led lights, motors, switches etc. The basic concept is that you use the board to develop software that performs the task of controlling any given device and test the processes involved before moving the final application to your finished product. Some other uses for these boards can be found in (firewalls, web servers or network monitors ( devices that can monitor the TCP/IP traffic on a local network )). Many people also use these devices as a media center by attaching them to the internet and their TV. When I get to posts about the operating systems I install and configure it will become very clearer that these board can run full versions of many flavors of the Linux operating system and as such can also operate as a fully features addition to any computer related environment. They also make a great tool for students to learn almost any area of computer studies. This entry was posted in Hardware construction and tagged Arm computers, Computer hardware, Cubieboard, Cubietruck, Development board, IT, Linux, Linux operating system, Nigel Borrington, Raspberry pi. Bookmark the permalink.